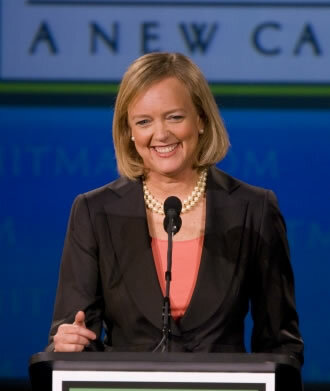 Despite previous reports that Hewlett-Packard was nearing an announcement regarding the fate of its webOS operating system, chief executive Meg Whitman is still undecided. The computer giant was expected to make an announcement late yesterday evening. However, when speaking during a company-wide meeting, the new CEO said a decision would be unlikely to come for at least a few more weeks, according to an exclusive by The Verge. "It's really important to me to make the right decision, not the fast decision," she said when speaking in the meeting at the HP campus. Whitman said the acquisition of Autonomy and the on-off sale of HP's PC division required considerable, thus delaying the decision regarding webOS. She acknowledged that the delay was unsatisfying, but that the "economics of this business are tough." She also said she needed time to decide whether an investment in webOS should be made, or whether other ecosystems could replace it, adding that the whole situation gets even more complicated when you factor in both phones and tablets into the strategy. "If HP decides [to keep webOS], we're going to do it in a very significant way over a multi-year period," she said, adding that "it's a very expensive proposition, but HP can make that bet." The OS was acquired in the $1.2 billion purchase of Palm last April, and despite being in the hands of one of the world's biggest computer manufacturers it failed to gain any traction in the already crowded mobile OS market. In the August earnings reports, previous CEO Leo Apotheker announced the firm would discontinue operations for all webOS devices, specifically the TouchPad and webOS phones. Since his firing, the software has been in a constant state of unrest, with constant reports casting doubt over its future. Rumours have also been circulating that HP was reviewing a proposed deal to sell off the operating system, netting the firm several hundred million dollars, but was not enticing enough to sway the interest of its new CEO, who has been working hard to stabilize what has been a very shaky year for the company. Last week HP announced it was refreshing its Slate 500 range of tablets, renaming its new model as a Slate 2 as well as cutting its price by $100.